Here’s a sample protocol. I’ve given more options below for you to tinker with, but if you just want clear and simple instructions, here you go. I think this is simple enough and doable. You don’t have to follow everything here, but it’s just a sample protocol. Salmon/Sardines/Anchovies/Roe/Oysters/Cod Liver…Don’t consume too much protein, or you will get out of ketosis. Rooibos + Cinnamon – use liberally. Drink lots of rooibos and Stevia. You can eat whatever you want for supper. Follow a diet that you can keep to and that suits your individual health needs. I recommend 20-50g of carbs depending on your individual needs. I’ve gotten into ketosis before but it didn’t work out very well. This protocol is my attempt to make it work more quickly. Getting into “Ketosis” is considered a state where your brain uses ketones for fuel. The most common fuel for your brain is glucose. Recently, I thought about what went wrong and thought about how I could change this. I’ve been experimenting with a modified ketosis version for about a month on and off. This protocol will be updated as I do more experiments and tweak it. This modified version solves most of the problems I had with ketosis when I previously tried it. I had a lot of issues with low carb diets in general, but this protocol is NOT a very low carb diet. I don’t do this protocol anymore because I need more carbs. I still recommend that you try this or a variation of it if you want to get into ketosis. These days I do a lectin avoidance diet, with carbs. But I may revisit ketosis later. My protocol doesn’t rely on ketones for fuel only. I like to get brain fuel from 4 different sources. This is one way in which this protocol is unique. I use 1) butyrate from Hi-maize/resistant starch and Sodium Butyrate, 2) lactate from exercise and kombucha, 3) glucose from carbs and now 4) ketones by getting into ketosis. I find if I get too much of one of these four fuels then it starts to decrease brain function. Lactate, butyrate, and ketones from ketosis all have different cognitive effects for me, but they are more similar than different. They all provide a relaxing buzz, but there’s an intangible strain at the same time. The most healthful product of ketosis, beta-hydroxybutyrate, has similar benefits and structure as butyrate produced from resistant starch. Having a small dose of these is great, but having too much is annoying for me. My memory also starts to get worse if I take too much resistant starch for too long. Who Should Try This Protocol? Ketosis has many health benefits. There are a few main conditions that I’d recommend this ketosis protocol for. Getting into ketosis a few days a week can help even healthy people enhance cognitive performance. I also recommend this to people with office jobs who can’t exercise or move around for most of the day. Ketones are capable of improving mitochondrial function possibly by decreasing free radicals/ROS (R). In fact, ketosis can create new mitochondria and increase ATP in your hippocampus/memory cells (in certain mouse models) (R) and probably many other cells. This should improve your memory. Ketones can also decrease glutamate excitotoxicity and neuronal excitability (R), which is a driver of OCD, anxiety and a host of other cognitive disorders. As a result of carbohydrate restriction, getting into ketosis can activate AMPK, which has many health benefits. It can also inhibit mTOR (R). Inhibiting mTOR is a pathway that increases longevity. Ketones are acidic and likely increase wakefulness via orexin. Ketosis is responsible for much of the benefits of fasting and activates many of the same genes (R). 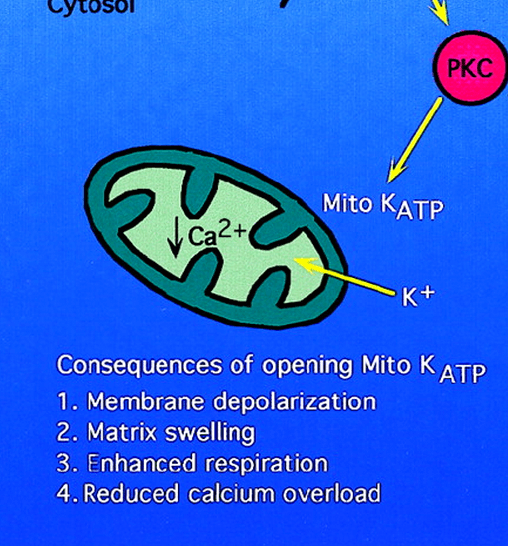 Part of the mechanism by which ketosis reduces neuronal excitability is by increasing potassium inflow into the mitochondria. None of these are actually necessary, but I find it makes a significant difference for me. Salmon/Sardines/Anchovies/Roe/Oysters/Fish oil. Fish is important because of the DHA and EPA, and I don’t feel the general weakness that I get from saturated fat. Cod liver oil or other fish oil can work as well, but whole, minimally cooked fish is better. Omega 3’s can help us get into ketosis. Both EPA (R) and DHA (R) are AMPKactivators. It also increases PPARy and Glut4. Extra Virgin Olive Oil – I use this on leafy greens instead of oils with primarily saturated fat. Olive oil is mostly oleic acid, which is adequate fuel for ketosis. As opposed to ghee or coconut oil, I don’t feel weaker with olive oil. Olive oil activates AMPK, PGC-1a (R), and SIRT-1 (R), all of which can help get into ketosis. Specifically, it activates fatty acid burning in muscle cells. (R) I don’t think my muscle cells handle saturated fat well and they make me feel weak. Leafy greens aren’t ideal for staying in ketosis, but if you want good bowels and the nutrients they contain then you must consume them. If you follow the recommendations below, you should be fine with leafy greens. You don’t really need any of these, but I include them. The most important thing by far is that you include caprylic acid above. You only need to include tea or rooibos, not both. I would’ve included tea into the necessary for the protocol section, but I realize people may have reactions to them (although I’ve never seen people have a reaction to rooibos). Acetyl-L-Carnitine/ALCAR – Carnitine increases our ability to get into ketosis. (R, R2) The acetyl group in it is needed for acetylation, which is needed for all three enzymes that convert aceto-acetyl-CoA to butyrate. The acetyl group may increase acetylcholine if you take it with alpha-GPC. Acetylcholine increases glucagon, which can also help get into ketosis. Hi-maize and Sodium Butyrate. Butyrate increases our ability to get into ketosis. (R) Take when you are out of ketosis since 40% of it is digestible starches. This is a good alternative fuel that functions similarly to ketones. Tea (Jasmine) – instead of coffee. I get inflammation from both caffeine and coffee, but Jasmine Tea has less of it and it makes ketosis easier. EGCG affects many of the pathways to get into ketosis more easily and Caffeine increases Norepinephrine, which makes it easier for us to get into ketosis. (R) You can put the brain octane in the tea or not. If I use tea, I put the first brew in my kombucha pot and drink the second brew. Rooibos – this is what I use instead of tea. I get really good results. Some people are very sensitive to caffeine, such as me. Rooibos can help the ketosis process instead of tea. I use Stevia to sweeten it and put in some Cinnamon as well. These are AMPK activators and can lower blood glucose as well. One Stimulant: Increasing Norepinephrine makes it easier for us to get into ketosis. (R) Synephrine, Caffeine (R) or Yohimbine. The linked caffeine is to one that you can spray on your skin, and I do a bit better with it. If you’re including Jasmine tea then there’s no need for additional stimulants. I don’t include all of these myself, but I’ve included all of them at least once. If you include all of these, you will probably end up with a headache. I recommend working down the list one by one, especially if ketosis is not working for you. Molecular hydrogen machine – I find this gives me a good boost in the morning, probably by increasing metabolism through increasing FGF-21 (R). It turns out that FGF-21 is also needed to adapt to a ketogenic diet, so molecular hydrogen can hasten the process (R). 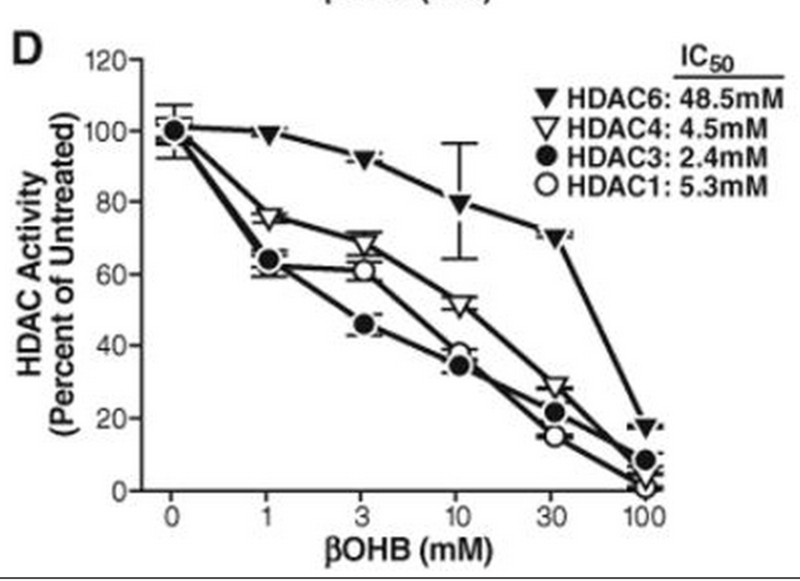 Mice lacking FGF-21 have reduced levels of ketogenesis (R). One AMPK Activator: Curcumin or Cinnamon (R). 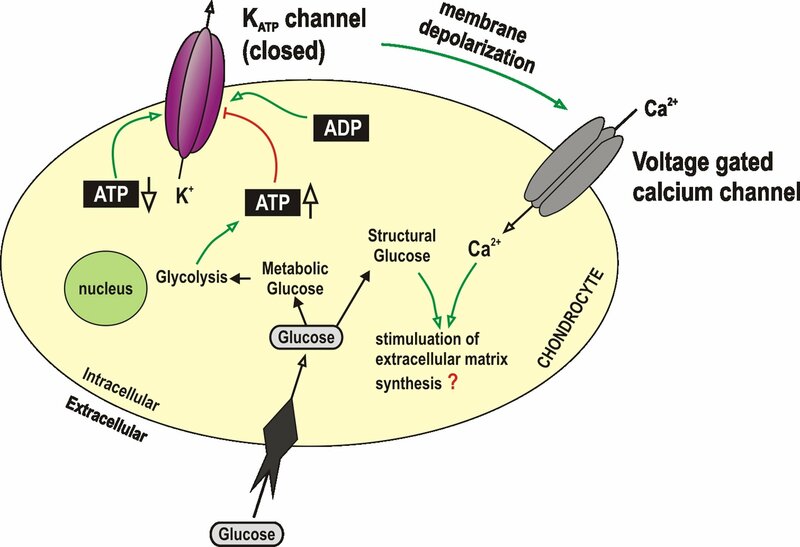 Activating AMPK allows us to get into ketosis more easily. (R) Berberine or R-Lipoic Acid is more powerful AMPK activators but they can be rough on your stomach if not taken with a big meal. Curcumin, cinnamon, and berberine activate PPARy and reduce blood glucose levels (via GLUT4). There are many supplements that help, but these are the top. Forskolin – by elevating cAMP it increases Carnitine Palmitoyltransferase I (R), which increases ketogenesis (R). PQQ – Increases PGC-1a, PPARa, PPARy, and increases fatty acid burning, all of which help us get into ketosis more. Niagen Nicotinamide NAD+ – Trans-Resveratrol to activate SIRT3. (R, R2) I prefer NAD because resveratrol isn’t easy on the stomach and I get side effects. Activating PGC-1a will also activate SIRT3. Cold exposure – cold showers, Ice Helmet/Cryohelmet (I use the adult regular size) or being outside for 15 min in winter… Cold increases CPT I (R), PGC-1a, PPARy, all of which help us get into ketosis more. Exercise can inhibit ketosis in the short term by increasing lactate (R). However, it activates cellular machinery that supports ketosis, so it can be good once the lactate levels fall. You should be drinking a lot of water. This is to prevent constipation and kidney stones. Drinking a lot of tea will help, but you should be drinking a lot of water. Calcium – if you are getting into ketosis with this protocol, you aren’t getting enough calcium. Calcium also activates PGC-1a, so it’s something you especially want (R). Potassium citrate – If you follow this protocol, there’s no way you’re getting enough potassium. It’s almost impossible to get enough potassium without grains. You want the citrate version because ketosis elevates your risk for kidney stones, and the citrate helps to dissolve free calcium. Slippery elm – to soothe the stomach. Potassium, tea and brain octane are hard on the stomach. Lysine -this is a strictly ketogenic amino acid (R). Tastes horrible. Leucine is also strictly ketogenic (R), but it potently activates mTOR, which can inhibit ketogenesis. Don’t take lysine if you want to seriously inhibit mTOR. Lysine is also good because it’s used to make carnitine, which also helps you get into ketosis (R). Red Yeast Rice – Statins are an HMG-CoA reductase inhibitor. This is the enzyme that takes the ‘fuel'(substrate) HMG-CoA and uses it to create cholesterol. HMG-CoA can also be used for making ketones (via HMG CoA Lyase). If we inhibit the cholesterol synthesis pathway, we’ll allow more fuel for ketones. Pterostilbene – good at lowering blood glucose levels. These don’t actually help you get into ketosis, but it could make the process more tolerable. Bright light device – this is stimulating, though it probably has more to do with increasing orexin. Use for 15-30 minutes upon awakening if you aren’t getting bright light. Pregnenolone – Ketosis decreases some neurosteroids (R), which is supposedly good for people with epilepsy, but I would guess not for others. Also, we create pregnenolone with cholesterol. However, the ‘fuel’ used to create cholesterol, HMG-CoA, is instead being used for ketogenesis. Anyway, pregnenolone is mentally stimulating. In general, we want to lower blood glucose to more easily get into ketosis. I’ve placed images below to show you how these mechanisms are working. Glut-4 translocation – will decrease blood glucose. Protein. Probably the important thing to get into ketosis is not to consume too much protein because most amino acids can turn into glucose. Insulin – as a result of protein or carbs. Exercise – temporarily…Exercise is great for many reasons, but lactate can inhibit ketosis. (R) If not for lactate, exercise would be great for ketosis. However, a short bout should fine. Otherwise, I’d recommend going for a walk, which doesn’t produce lactate. Lactate has its own benefits, but if your goal is ketosis, save it for a different time, such as during your carb window. 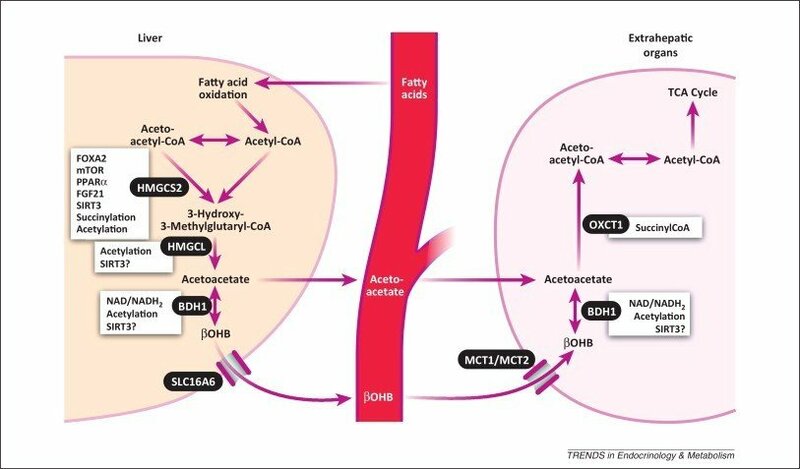 Oxaloacetate – the supplement is good, but it can inhibit ketosis by activating the TCA cycle. Thyroid hormones. Thyroxine enhances the release of glucose from glycogen, which could theoretically work against ketosis. Thyroid hormones increase mTOR, which can also work against ketogenesis. Inflammation: TNF and IL-6 can inhibit you from getting into ketosis (R). Artificial Sweeteners. By increasing bacteria that create glucose, artificial sweeteners can block ketosis. My protocol is simple and it’s that you don’t eat 3 or more hours before bed and you don’t eat ANY carbs for the first 11 hours after waking up. Even eating coconut shreds has too many carbs for this protocol. This combined with Brain Octane will make it very easy for you to get into ketosis. For me, I try to wake up at about 7 am and go to bed at 11 pm. I don’t eat after 8 PM at all and I don’t eat any carbs until 6 pm (on the days I do this protocol). So it’s kind of like you’ve got a carb window. You also want to consume most of your protein in this window. If I feel excess energy, I’ll do some push-ups or use my Pull-up bar. This would be a good time to include about 50g of Hi-maize because it will fill you up and prevent you from overeating. It also takes about 20 hours to hit and will, therefore, give you some butyrate the next day around the afternoon. When I eat carbs, I make sure to go for a walk for about an hour and 15 minutes and this is also when I do some errands. I may include some kombucha here to prevent the suppression of orexin, which causes fatigue. What’s important here that you plan your exercise regime around your carb intake. If you’re drinking kombucha, you want to drink it around your carb intake as well. However, you can eat whatever you feel healthy from. When I go for a walk I don’t experience fatigue because in general exercise increases wakefulness (R). I find walking to be the best nootropic for me. At 6 PM, I have my main meal of the day, and I make sure to include carbs, protein, and fat. Generally, whatever I crave I’ll eat. I also try to have kombucha here as well. 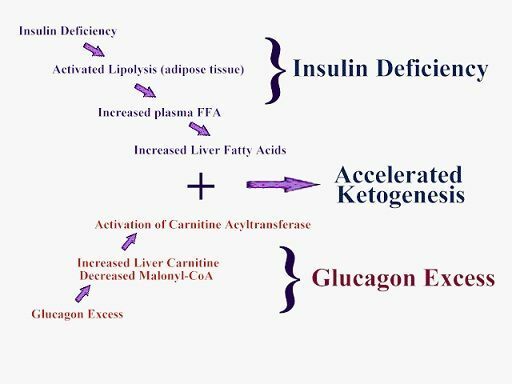 I understand that everyone has different circumstances and can’t follow the exact same protocol, but the point is to try to hit as many pathways that increase ketogenesis as possible, and this is just one way of doing it. You can tweak it as necessary. The biggest mistake about doing a low carb diet is doing it without getting into ketosis. However, even when I did get into ketosis I had some problems. I used to include too much saturated fat and this just made me too weak to function and also tired. I didn’t use enough DHA/EPA or olive oil as my main sources of fat. I didn’t include the above supplements/equipment, making it more strenuous and harder for me. I tried to exercise/walk while in ketosis – a big no-no. I would try to get into ketosis for the WHOLE DAY. I used too much of MCT oil/Brain Octane – you don’t want to use too much! I would include some carbs. To get into ketosis, it’s best to not have any carbs. I still have carbs at night. I wouldn’t time my carb intake right. I would look at the total grams, not when I consumed those carbs. So even if you go low carb, you still might not be getting into ketosis. I would eat too much protein. Be careful because protein can get you out of ketosis pretty easily since amino acids can turn into glucose. First, try without protein and then try with. I didn’t give it enough time to adapt. It takes most people a few weeks to adapt and sometimes longer. I just wasn’t willing to give it the necessary time to adapt previously, although this protocol makes adaptation easier. I still had inflammation when I tried it the first time years ago and inflammation (TNF, IL-6) makes getting into ketosis harder. I didn’t use Hi-maize or Sodium Butyrate. Resistant starch is an alternative butyrate source that’s good brain fuel. When I was having health issues, hypoglycemia was a serious problem for me, but not anymore. Hypoglycemia is a common complaint. Hi-maize can make ketosis easier for you if you get hypoglycemic. I didn’t include Pregnenolone. Many people don’t synthesize enough pregnenolone, perhaps because of inflammation, chronic stress or pain or other reasons. Being in ketosis would be much more difficult for me without pregnenolone. You can use Ketostrips to make sure you’re getting into ketosis, but I know when I’m in it by the familiar “buzz”. My libido goes down and I don’t have as much physical energy. This is probably because of reduced IGF-1 from less protein. But it’s worth the tradeoff. Some people recommend ketosis for cancer. This is false. Cancer cells can use ketones for fuel, which will similarly drive cancer growth (R). Cancer cells can use lactate as well. There was a pilot study in 10 advanced cancer patients who did a very low-carb, ketogenic diet for 28 days. 4 of the patients continued to have progressive disease, while 5 remained stable and 1 had a partial remission. The patients who produced more ketones saw the most improvement (R). Another pilot trial was done with 16 people using ketosis in advanced cancer patients. Two people died early and most of them quit early because of difficulty. 6 people completed the 12-week trial and they had improved emotional well-being, but it generally didn’t halt their disease (R). It’s not surprising that their emotional well- being was better because they probably didn’t exercise and ketosis improves mood. It might be beneficial for some cancers, but the evidence thus far is not too impressive or non-existent, but to be fair the studies so far that I’ve seen have only been in advanced cancer patients. If ketosis did reduce cancer, it’s probably as a result of reducing IGF-1 and improving mitochondrial function. Brain Octane is simply caprylic acid, so you can buy it from Bulletproof or Amazon (cheaper). Caprylic acid is something people commonly use for candida and is antimicrobial. I find it better than MCT Oil for getting into ketosis. Caprylic acid allows us to get into ketosis more easily and also makes us feel full (R). It doesn’t require carnitine, as opposed to other fats (R). It increases mitochondrial oxygen consumption, which gives our brain more energy (R). In a double-blind, placebo-controlled trial, caprylic acid improved cognitive function in people with Alzheimer‘s who weren’t on a low carb diet (R). Another smaller studied showed the same (R). A review of case studies similarly showed that it was able to slow the decline in people with Alzheimer‘s (R). It was able to improve performance in mouse models of ALS (R). A case report of a 70-year-old man with mild Alzheimer‘s who used caprylic acid for 109 days resulted in markedly improved cognition. He went from being mildly cognitively impaired to normal. The guy went from a 23 to a 28 on a test to measure cognitive performance (MMSE). 23 is indicative of mild impairment, while over 27 indicates normal cognitive function (R). It has anti-tumor properties (R). 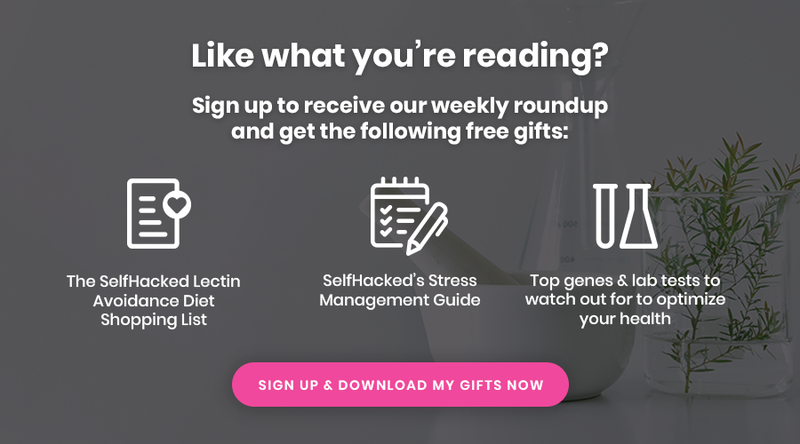 My own experiments verify the capacity of caprylic acid to improve cognitive performance and this regimen specifies how to do this in an optimal way. In mice, most studies show they lose weight, however, some show that they gain weight. In the studies showing weight gain, the mice at over 20% of their diet as protein and in the studies that demonstrated weight loss had less than this (R). I start waking up at 3 am as soon as I go into ketosis. Kinda do that anyway once a week, but when I hit ketosis it is every night. Any solution for this? Maybe ketosis is not for you where you are right now (and it doesn’t work for many women). You can also try carb cycling. What works well for me is to use ketosis when necessary, and/or adding some carbs to the last meal of the day. 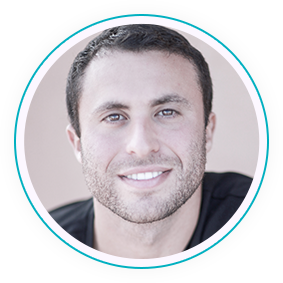 Joe…what are your thoughts on this article about saturated fat and inflammation. It seems to fit with your experiences. quote: His cholesterol plummeted, but on average cholesterol goes up. (R) Goes to show you that everyone is different. The access to this reference is denied. I’m interested because like him I started 7 years ago first to eliminate sugars, then gradually reduce carbohydrates because of metabolic syndrome too. And guided my allowable foods according to postprandial blood glucose measurements. My cholesterol improved alike. Just with most others who did the same, for example at the ‘TrackYourPlaque’ forum. Also feel a bid dumb now, because always thought one could not get into ketosis unless below 50 g/d of carbs or reducing protein. However, it seems quite usual to go in and out on a daily basis and a recent urine analysis showing ketones at 15 mg/dl suggests that’s what I’ve apparently been doing.. This could be seen as one part of the puzzle for predicting favorable improvement in cognition in response to ketosis. Is it possible to sub safflower oil for EVOO in this protocol? I can’t do coconut oil either. Exactly how much carbs do you think you could have in the morning and still stay in ketosis? I like to drink a greens drink called Green Magma which is barley grass, and 1 serving has 4g of carbs. Do you think that would be ok to consume and still be able to be in ketosis? Just a note: Rooibos gives me insane fatigue and the most intense nausea out of anything except nicotine “overdose”. I know that I and others have experienced a”burn-out” after doing ketosis for an extended time (~weeks/months). What makes your protocol safer to be practiced for long? You get in and out. You don’t stay in it. I have been taking following your lectin free diet + supplementing with ~20% potassium gluconate daily. Recently I tried following the above protocol and after the 4th hour being in ketosis I got crazy muscle cramps all over my body despite supplementing with 20% potassium gluconate. Did you have a similar experience? what did you do? It’s prob from the acidity of ketones. No cramps, but my muscles feel more fatigued? I found that eating 4oz of cod liver (discard oil) + supplementing K2 every three days is really thinning my blood. What is your experience with eating 4 oz of cod daily? It certainly does thin my blood by quite a bit, which is why I wouldn’t go over that! I changed my recommendation to half of a can and put some warnings. I am following your strict lectin free diet and together with this ketogenic diet, it appears I will be deficient on biotin and vit b5 as well as selenium, do you suggest taking a multivitamin daily? Hard to become deficient in biotin, but I add all of those in. Do you just add as multi vitamin or separately per need? Also – what do you eat until 6:00PM? only cod/olive oil/octane , greens and some rice protein? On days you are not in ketosis , what are your main ‘fuel’ sources in the morning? Glucose? Butrate? Lactate? Hey Joe, any cheaper replacement to Brain Octane? Cause in my country I can’t get that. Thank you! How much cod oil (as opposed to actual cod) can you take per day? Or- to put it differently – how much cod oil is in 4oz of cod liver? Can you answer this question joe? I’m struggling to understand how much to take in pill form too. I certainly will not be wanting to eat cod liver in the morning. How far apart do you separate your two tbs of octane oil? 2 hours maybe. Sometimes I take 2 tbsp in a shot in the morning and that’s it. nice, might try it! do i need to fall into ketosis first or i just follow your schedule and i will fall into ketosis every morning? is there anything to substitute cod liver? I despise the taste of all kinds of liver, I can’t bring myself to eat any, especially when I wake up…. I notice you say you take it for the EPA/DHA, so could I substitute it with fish oil capsules like Life Extension’s Super Omega 3? I haven’t tried it, but cod liver oil will work as well. The point is to get energy from fat, but not from saturated fat. You can have Sat fat at night. When you say “carb drink,” is that the product you’ve been developing or is it something that anyone can put together? If the latter, what do you use? I’ve developing. Anyone can put their own together. Or carb sources in the elemental diet. Are there any contraindications? Should people with some conditions avoid going into ketosis, or is it totally fine for everyone? Can cod liver be substituted for cod liver oil? Nope, I discard the cod liver oil and only consume the actual liver. I suppose there is some use for Dave Asprey´s products. Would it be a good idea to add some kombucha in the morning with MCT? Or would it negatively impact ketosis in your opinion? No, kombucha has some carbs. It needs to be pretty close to ZERO carbs. How and when do you incorporate hi maize into the protocol? How in your opinion is Brain Octane different from other MCT oils? I’ve been to the Bulletproof site but don’t see any thing special in the ingredients.Thanks! Caprylic Acid sells for 1/3 the price on Amazon. Safe to just get that instead of the BPE alternative? btw. have you had a look into d-ribose instead of glucose?